Your Thanksgiving appetizers will be as cute as they are delicious with these fun double sided Thanksgiving toothpick flags. And there is a coordinating Thanksgiving pennant garland too, so your mantel isn't jealous of the appetizers. 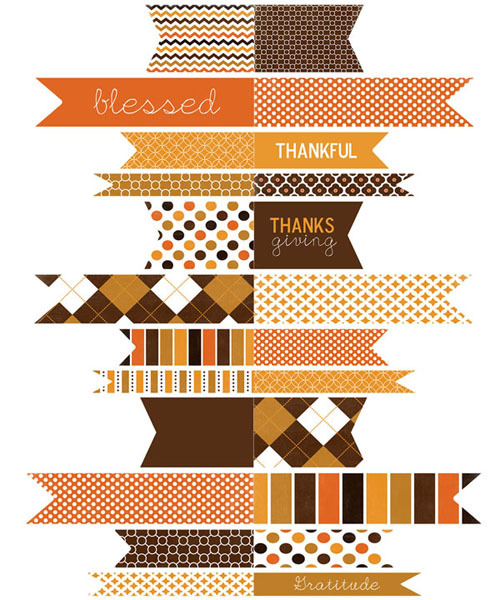 You can get both of these Thanksgiving printables and a coordinating Thanksgiving poster over at Simple As That.